Germany-based Wacker Chemie AG has signed an agreement with VIA optronics, a German company that manufactures and enhances liquid crystal displays (LCDs), to strengthen their cooperation in optical bonding and bundle sales and marketing activities. Wacker has been supplying VIA optronics with highly transparent silicone gels since 2011. 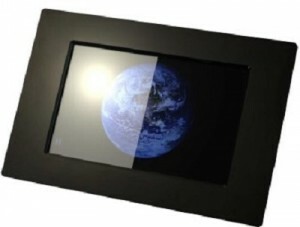 The optical bonding process employed by VIA optronics largely eliminates reflections because it uses a transparent silicone gel to bond the full surface of the touchscreen to the LCD. Such bonded displays are not just more brilliant and readable. They also consume comparatively little power, because less energy is required to illuminate the display. In addition, the silicone bond offers protection against dust and moisture and increases the mechanical stability. For the optical bonding, VIA optronics uses a specialty silicone gel that was custom developed specifically for this purpose by Wacker. The room-temperature-curing gel is transparent, elastic and tacky, which ensure optimum bonding of the components. The two companies have also agreed to share more knowledge in developing new products and processing technologies.